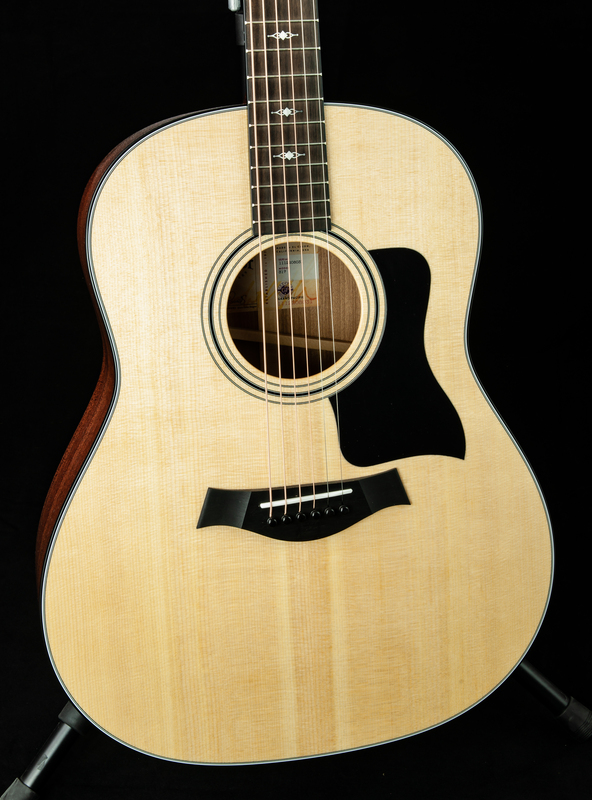 The Grand Pacific 317, featuring our new round-shoulder dreadnought body voiced with Taylor’s award-winning V-Class bracing, helps usher in a whole new Taylor sound. Notes blend smoothly together to produce a warm and seasoned acoustic voice with clear low-end power. 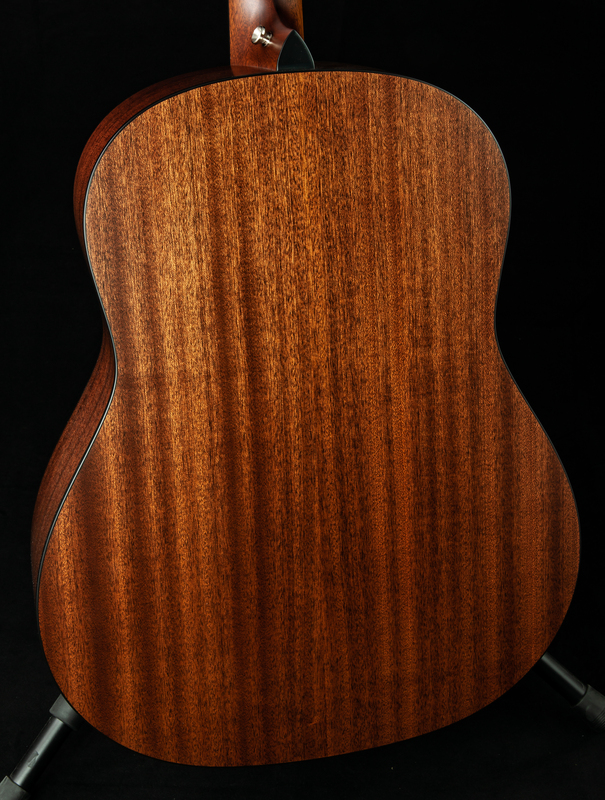 Built with solid sapele back and sides and a solid Sitka spruce top, the guitar’s tonal response sits comfortably between the dry, focused character of mahogany and the harmonically complex sound of rosewood. The body’s wider waist helps produce a strong bass response, but without the woofiness that can sometimes plague bigger-body guitars. That low-end clarity blends evenly with the guitar’s mids and highs, yielding a rich, dynamic tone with notes that overlap into a seamless whole. Our V-Class bracing, tailored for the Grand Pacific body, dials up the power and sustain, along with improved intonation, making this a versatile tool for jamming with other musicians, playing alongside a vocalist, or embarking on solo adventures. Whatever your musical calling, the Grand Pacific 317 will make an inspiring companion.